The standard suppport service is for customers with available internal technical resources and SS7 experience. It covers the licensed software and direct interfaces to third party applications. Standard deployment support is included in the operation license so no extra costs are required. The standard deployment support covers remote installation of the software and configuration of a limited number of SS7 and or IP interfaces. The customer is responsible for the hardware preparation if a software only solution has been purchased. The customer is furthermore responsible for site preparation and preparation of the interfaces that should be configured during the deployment. The standard deployment is executed by Netfors via remote access to the server during a period agreed by both parties. In order to ensure continued functionality of the software, standard operations support is mandatory. Standard operations support has a minimum annual fee or a percentage of the total software price. The customer has Tier 1 support for the software and Netfors is responsible for tier 2 and 3 support. The standard operations support covers remote issue tracking, installation of software updates and limited support in the usage of the software. 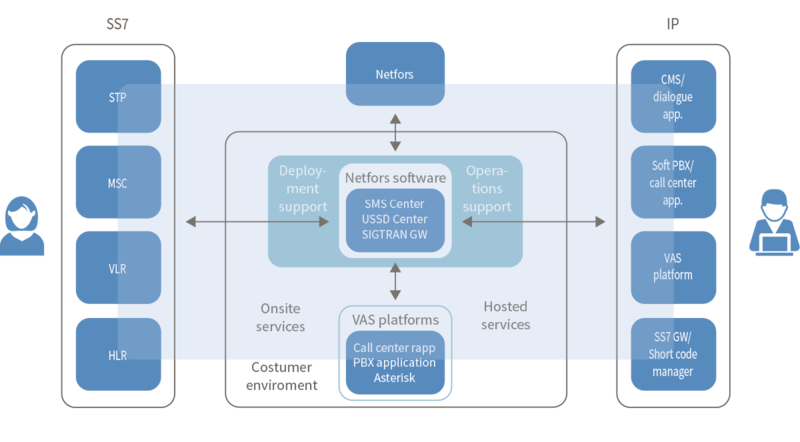 Standard operations support is executed by Netfors via remote access to the server.